How to clean a pool filter? A pool pump filter plays an essential role in any swimming pool. It filters out the water in the pool. The pool filter hooks up to the pipe entering your pool to ensure water flows via it before it makes its way into the pool. With an optimally functioning water filter, you will have to mind about swimming in dirty. The best way to keep your pool pump filter functioning well is to clean it regularly. There are many types of pool pump filters and it is important that you understand how they work before cleaning them. The BLASTER Automatic Filter Cleaner automatically rotates your swimming pool or spa cartridge filter while PowerJets spray focused water to clean the filter pleats. Its unique horizontal design allows dirt and debris to easily fall from the filter, avoiding the lodging that occurs in vertical cleaning. The BLASTER is completely automatic! Just put your filter on, turn on the water and it does the rest. The Blaster cleans most filters in minutes. 10 Why to use automatic cleaners for dirty pool filters? 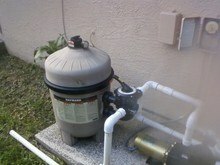 Sand filters are increasingly becoming popular as a great mid-range filter option. They are shaped like a sphere or a large cylinder and usually sit beside the pool. The part of the filter is the tank filled with sand. The pump pushes water via the sand which then removes any contaminants in the water. Sand filters are ideal for the above-ground swimming pools, but they can also be used with pop-up swimming pools. 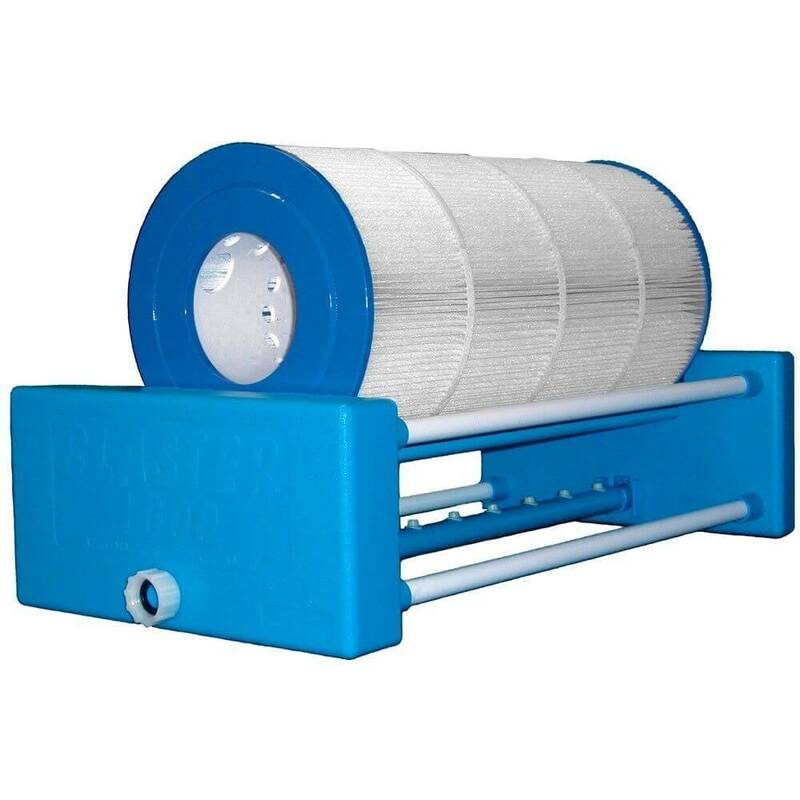 These filters have fabric or paper cartridge placed inside the filter house. They are found behind the screen or flap in the wall of your pool. They are affordable and easy to clean. The only shortcoming of cartridge filters is that they may allow some contaminants to pass into your pool. They are the most effective but expensive pool filters today. They resemble sand filters on the outside, and help you remove all contaminants in the water. Step 1: Switch off the pump and filter. Where possible shut off the breaker that controls and unplug them from the power source. Step 2: Switch the backwash valve on the filter to the backwash position. Clamp the backwash hose to the water outlet on the filter and completely unwind it. Step 3: Turn the filter and pump on again. You will notice eater coming out of the backlash valve. Wait for the wait to clear and the switch off the pump and filter once again. Step 4: Return the backwash handle back to the usual position before gathering up the hose. Ensure you empty the hose off any water that may be inside. Step 5: Switch the pump and filter on before opening the air relief valve on the filter. When the water comes out normally switch the valve off. Step 6: Remove the manifold inside the filter. Be careful not to break any of the fingers. Use a small cup to remove the sand, until you can easily remove the filter. Step 8: Put the sand back the filter, be sure to follower the user manual to know how much sand to add so as to get the filter to the right pressure. Step 9: Place the filter to the right position and fill the tank with sand about a third full before putting the manifolds back into place. Step 10: After filling the tank, backwash it again. After backwashing the tank with new sand, you will be ready to go. Allow the filter to cycle for half an hour before using the swimming pool again. Owning your own pool is the perfect mix of fun and frustration. On one hand, you and your family can always relax and have fun dipping in the water on a hot summer day. On the flip side, there is the whole matter of maintaining the pool itself and keeping it clean. But maintenance costs can be hefty and sometimes having the right professional at your side can be problematic due to scheduling issues. The best way to overcome these situations is by learning to clean the pool filter on your own. Though it’s a complicated job, this article will give pro tips for pool filter cleaning and the basic rundown of the different components and steps you need to follow to clean different kinds of pool filters. The first thing you need to know is that there are 3 main types of commercial pool filters on the market: cartridge filters, sand filters and diatomaceous earth filters (or DE filters). With cartridge filters, it’s very easy to understand when your pool needs cleaning because the pool and filter both get filthy. Sand and earth filters are a little tougher. You need to learn to read the pressure gauge of the filters to know when your pool needs cleaning as cleaning too much can easily deteriorate filters, a mistake which many pool owners make when they first undertake the “joys” of self pool filter cleaning. Now that you’re done collecting the required tools, it’s time to clean your filter. Always remember the following things when cleaning filters for your swimming pool. No matter what type of filter you’re using, always turn off the pump before removing the filters and precisely follow the manufacturer’s instructions. Pool filters can be very sensitive, and are easily damaged if handled in the wrong manner. Wash the filter top down with the garden hose carefully at a 45 degree angle, thoroughly washing the spaces in between the pleats of the filters. Rinse and repeat until all visible dirt and detritus has been removed. In case of cartridge filters, dip the filter overnight in a solution of one cup trisodium phosphate (TSP) and one cup detergent if the chlorine level in the pool is too high. If a cartridge filter is coated with algae and slime, the same method applies using muriatic acid instead of TSP. When cleaning cartridge filters, always have a replacement cartridge handy or the cleaning process might stretch up to two days. Always keep an eye on the pressure gauge for sand and DE filters. Too much pressure accumulation can destroy the filter devices easily, especially when it comes to DE filters, which should be checked at least once a week. Cartridge filters should be changed on a yearly basis. The sand in sand filters is very long lasting and only needs to be changed once every couple of years down the line. But the sand levels should be checked every two months and be replenished if the sand levels have reduced. DE filters should be checked at the start of every summer to ensure everything is in place. There also some other warning signs that denote when it’s time to clean your pool other than the above mentioned methods. In case of cartridge filters if there are noises in the filter lines, it’s probably a very good idea to clean the filter immediately. When it comes to sand filters, sand piling up at the bottom of the pool is a strong warning to clean filters as well. For DE filters, the pool water can grow brown and murky if there’s anything wrong. Learn to read the filter pressure gauges. The manufacturer’s instructions should provide relatively easy to follow instructions for your gauge, as well as the appropriate pressures for proper functioning. Pool filter cleaning might seem like a complicated process when you first set out to take care of the job yourself. But just like any basic home maintenance task, it’s a very easy way to save money down the road. Don’t get intimidated. Thousands of other pool owners throughout the country have figured it out, so why can’t you? The combination of your manufacturer’s instructions, the tips in this article, (and maybe a YouTube video or two) should turn you into a pool filter cleaning pro in no time. A pool filter plays an essential role in any swimming pool. It removes dirt and debris from the water flowing into the pool. To keep your pool filter functioning optimally, you should ensure it is cleaned regularly. How often you should clean your pool depends on the condition of the water and the type of filter. Pool Filter Cleaner Homemade. The best way to know if your water filter is clogged is to check the pressure reading on the gauge. If the pressure rises by about 10 psi, then you should clean the filter immediately. When it comes to cleaning your pool filter, it’s recommendable that you use the best swimming pool filter cleaning solution. Clean water makes your swimming pool to have an aesthetically pleasing appearance. This is vital for you and the guests who want to use it. In some areas, the law requires that you maintain a specified amount of filtration. Thus, you will be breaking the law if you allow your filter to become dirty. This regulation protects people from contracting waterborne diseases. Thus, keeping the pool clean protects you and your neighbors. Many pools will not operate at all when the filter is clogged and even if they will, they do not function optimally. Dirt and debris if not removed can be unsafe and damaging to your pool water pipes and filter. It is can be costly to replace all your pool water pipes and pump. While you can still hire the services of a qualified pool technician to clean your filter and maintain the pool, there are many reasons why you should consider doing it yourself. However, if you have difficulties doing these tasks on your own, then it is still advisable that you hire an expert. Here are some of the primary benefits of doing a clean you should clean the filter yourself. Cleaning your pool filter regularly helps to extend to expand its lifetime. You certainly do not have to replace your filter every time it gets dirty, you can clean and use it again. This will help you to save a significant amount of money. You do not have to depend on someone else’s schedule to clean your own filter. As soon as it gets dirty, clean it yourself to save time, inconveniences and money. 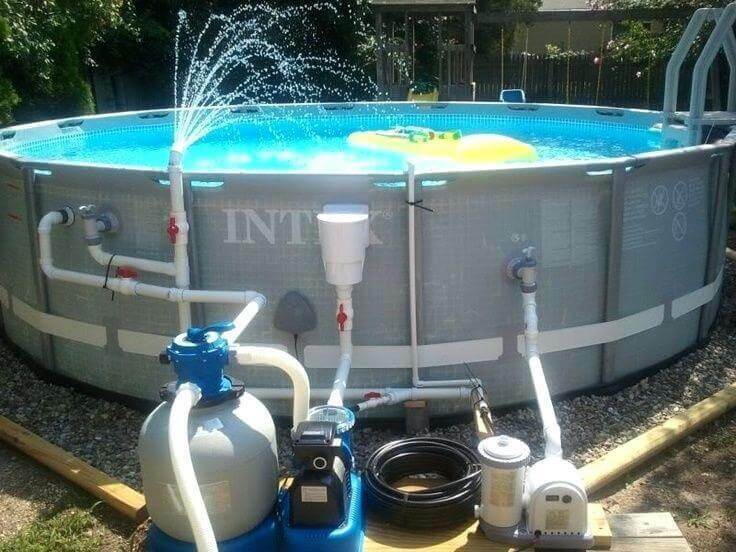 It’s always a good idea to learn how your swimming pool works. By cleaning and replacing your pool filter yourself, you will learn how the pool works bit by bit. Later, you be able to fix problems that arise. To clean your pool filters well, you need to have the best pool filter cleaner solution on the market. There are many cleaning solutions for filters today. It is important that you choose a cleaning solution that is specifically designed for your filter. Note that you cannot use a regular cartridge filter cleaner to clean a sand filter. Go for the right filter cleaning solution in order to get optimal results. Pool filters can get damaged due to consistent usage and this is now treated as one of the most important pool troubles. If this trouble does not get resolved as soon as possible, then you might face dreadful consequences. At least two times cleaning in a year is required so that the filters can be maintained carefully. Specialized Pool Filter Cleaner is being used for making the purposes served in an efficient manner. The whole pool system will get adversely affected by means of dirty filters. Pool water will also become dirty and clouded due to unclean filters. Moreover, algae can get developed in your pool from dirty filter. Pool pump and heater will also get badly affected by the same. Filter cartridges can get damaged due to dirty pool filters. Why to use automatic cleaners for dirty pool filters? If you want to get rid of stubborn wastes of your pool filter, then nothing can be the best option other than using any automatic cleaner. Specialized automated technology has been introduced so that the filters can be cleaned with great ease and convenience. Moreover, the cleaning process can be highly facilitated by the use of these cleaners. This kind of pool filter cleaner is quite advanced and it is pretty different from that of the other traditional models. 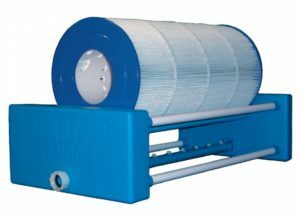 Pool filter is one of the main pool accessories and thus you need to use automatic cleaner for fulfilling the purpose of filter cleaning. Pressure cleaner and vacuum cleaner are the two most popular types of filter cleaners. Both these cleaners can remove debris or stubborn wastes in the most efficient manner. Quick cleaning can be facilitated and not a single trace of dirt will be found after the cleaning procedure is over. These cleaners can be used easily and no manual power is needed for operating them. These cleaners are equipped with special hoses so that acute suction pressure can be created and this kind of pressure is highly needed for cleaning the dirt on filter surfaces with ease. This kind of cleaning procedure comes under robotic system of cleaning and it has got unique features. The wastes are being sucked from filter bags automatically. These cleaners are far better than DIY methods. DIY methods for cleaning pool filters are very much hectic and might result into unsatisfied consequences but in this case guaranteed cleaning can be gained for sure. • Vacuum cleaners are much into demands these days and you can take the decision of acquiring the same so that the pool filter can be thoroughly cleaned. In most of the cases, loose particles of wastes can be easily and efficiently cleaned by means of these cleaners. These cleaners have got different models and you can choose the powerful model so that both loose and stubborn wastes from pool filters can be easily extracted. In-built dust-bags are found within these cleaners where the wastes are being deposited after the extraction process is over. Many popular electronics brands are currently dealing with this kind of Pool Filter Cleaner having automated technology. These cleaners re equipped with powerful suction mechanisms. First, the cleaning solutions are being spread and then with the use of this suction mechanism those solutions are extracted along with the hidden wastes or debris of the filter. • Pressure washers are another most valuable and popular automatic cleaners that can be used for cleaning off dirty pool filters. These washers are mainly required washing purposes and this washing involves detailed cleaning of pool filters. Mechanical sprayers are found within these cleaners and they are utilized for removing the toughest wastes that are sticky in nature like grease, oils and others. Sometimes, mould layers can also be eliminated by the use of these automatic cleaners. Different safety instructions are to be followed for using these cleaners and in this respect you can receive proper guidance from the experts. In most of the cases, they are being powered by electricity so that the task of cleaning can be speedily performed. Even if the waste layers are quite dense then also you can get absolutely positive results by using these kinds of advanced filter cleaners. In 2016 I got my first house that had a pool and I had no idea where to begin. 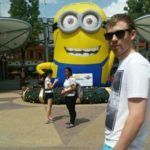 Over time I have learnt how to do most things myself (I am really into DIY) and wanted to share my information with other. I was one of the people who thought if water smelt like chlorine, that meant there was too much chlorine in the water! Pool Filter Cleaner Homemade? We Show You How! Why Does Pool Water Turn Green, And Is It Safe? Pool Cover On Or Off During The Day, What Is Better? Copyright 2018 by NASASwim. NASAswim is a participant in the Amazon Services LLC Associates Program, an affiliate advertising program designed to provide a means for sites to earn advertising fees by advertising and linking to amazon.com.